Winter around the corner? - Today winter bumped into us and we now start looking for the snow on Mt Donna Buang. It doesn't feel that frosty yet....but soon the snow flakes will fall and provide the closest winter wonderland for those of us east of Melbourne CBD. May in Warburton has chuckles on the ground and in the aisles of the UYAC, lycra clad cyclists heading to Nojee, movies, sacred activism, art, live music in all shapes and sizes and a diary entry for the very popular Warburton Film Festival next month June 15-17. ALL EVENTS: On the events page you can download the PDF summary of all the events in May. 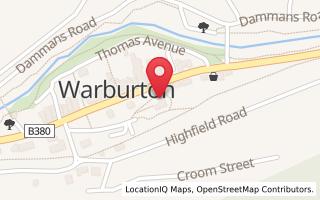 Every day has something to do, Warburton is full of warm friendly coffee houses with fires and entertainment. Did you miss it? Some didn't and were lucky to catch a comedy act or two in Melbourne several weeks ago. But now we are in the firing line of LIVE COMEDY as the road show hits Warburton - have a hoot and enjoy May in Warburton.